Everest range views from Lokhim Gope including Numbur, Mera peak and Choyu above 8000M. 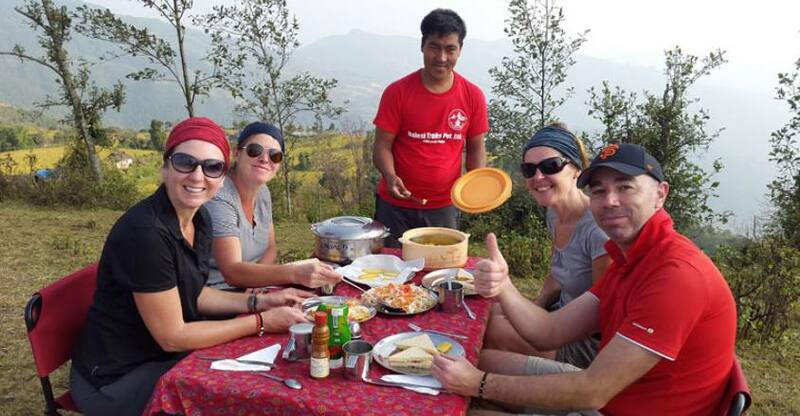 Halesi to Phaplu Trek is off the beaten rout no any European peoples we can enjoy with real Nepali life, cultural and local food, as well as drinks Rakshi (local rice wine homemade) Halesi Treks, organizing Halesi to Phaplu Trek since 2007. There are nice rice fields landscapes and north of the Halesi, we can see mountains ranges including Mt Everest, Numbur, Mera peak, as well as many more Khumbu Himalayan Range. 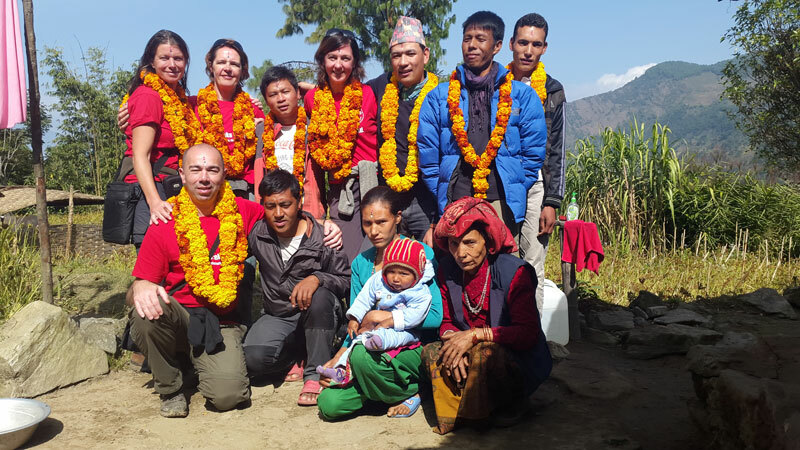 The village cultural trekking package covers learning and research tour packages of local religions such as Buddhism, Hinduism, various traditions, languages cross-cultural, experience, research on tribes and ethnicity etc. Halesi Mahadev is a very popular temple as The Pashupatinath of eastern Nepal. 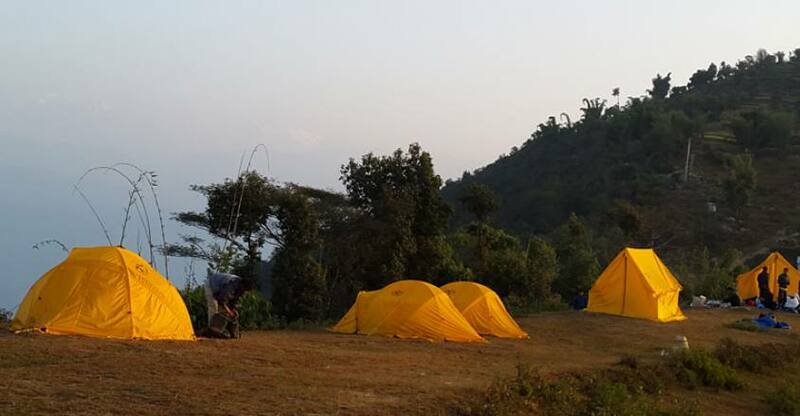 It's situated in the Khotang district, 3,100 ft. – 4,734 ft. above sea level. It is south-west of Mount Everest. It is a venerated site of Hindu and Buddhist pilgrimage. Halesi Mahadev Two feet Shiva Linga enshrines the cave. to the immediate north of this Shiva Linga, there are two pillars, which stand very close to each other, making a narrow pass. It is commonly believed that the sinners cannot pass through this narrow passage and a confession only enables them to pass through. Thousand of devotees from far and near come here to offer worship to Mahadev (Lord Shiva) as it is believed this Halesi Mahadev blesses children and poor with prosperity and the virtuous with knowledge and wisdom. Day 01: Arrival in Katmandu 1350m. Day 02: Kathmandu to Halesi Maratika 1355m. Day 03: Trek from Halesi to Bijule 1699m. 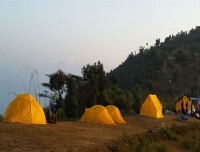 Day 04: Trek from Bijule to Rawakhola 609m.5/6hrs. Day 05: Trek From Rawakhola to Aiselukharka 1997m. 6/7hrs. Day 06: Trek From Aiselukharka to Parma- Ri 2400m. 5/6hrs. Day 07: Trek from Parma-Ri to Lokhim Gope 1800m.4hrs. Day 08: Rest day exploration day. 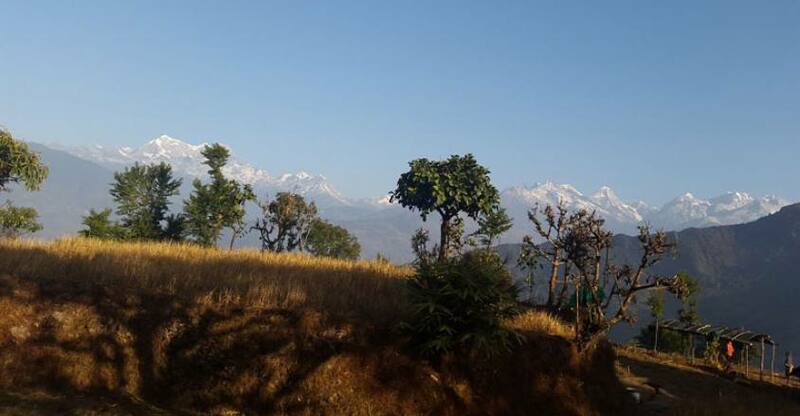 Day 09: Trek from Lokhim gope to Suke Pokhari 2000m.2 hrs. (Local Market on Friday). 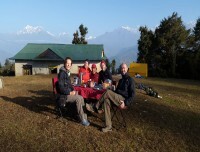 Day 10: Trek from Suke Pokhari to Mukli 1300m. 5/6 hrs. Day 11: Trek from Mukli to Chyalsa 2690m. 5 to 6 hrs. Day 12: Trek Chayalsa to Phaplu 2469m. 2hrs. our teams meet you at International airport transfer to hotel.briefing about the trips from the Halesi Treks Pvt.Ltd owner. Overnight at hotel. Early in the morning drive from Kathmandu with private jeep it takes 7 to 8 hrs.to reach Halesi Maratika cave. Overnight at tent camp. After breakfast sightseeing in around the Halesi Maratika, the temple of Halesi Mahadev is a popular pilgrimage for both Hindu and Buddhist, a temple situated of 1355M. the temple area has three caves the believed to represent three eyes of Lord Shiva. Buddhist, worship the caves as Maratika monastery, believe that Padmasambhava (the founder of Tibetan Buddhism the great rempoche)and his wife Mandarva freed themselves from the circle and thus became immortal in these caves, after sightseeing we will walk to reach our camp BIJULE 5hrs. around the village, we can see many different faces on the way and from our camp, we can see many mountains including Mt. Everest. overnight tent camp. 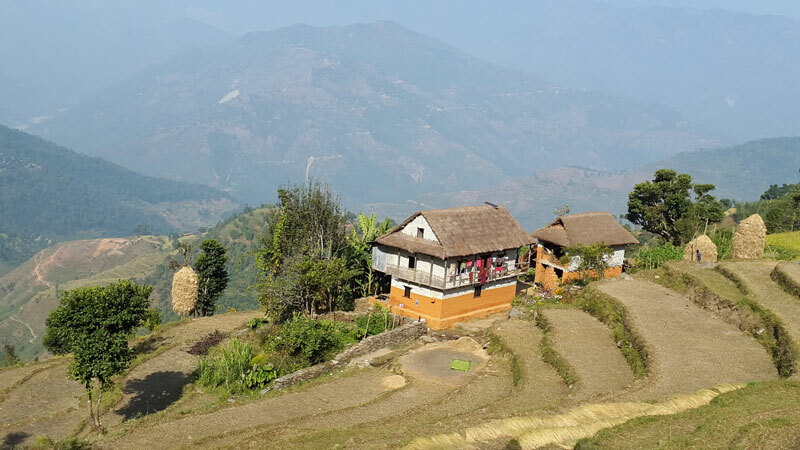 We have to walk almost all the way down via very nice views of village and rice filed and today we will make camp nearby Rawa Khola it means nearby riverside. Overnight tent camp. We will walk slowly climb up via nice Nepali typical house, orange garden, and beautiful landscape. Overnight at Tent camp. After the breakfast, we will start our treks via nice village, landscape and we have lunch at Deurali this is a border of 2 districts Khotang and Solukhumbu another side beautiful village with the White Mountains scenery and evening we can see very nice sunset views. overnight Tent camp. After breakfast we will see the sunrise views then we will go to gope this is my birthplaces we can see many people in the villages. Overnight tent camp. 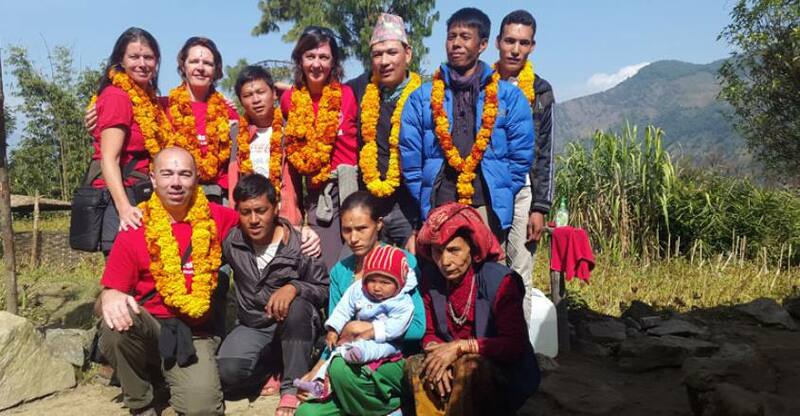 Lokhim gope is the community of Tamang we will visit the village, school and you can see the real lifestyle of Nepalese. Overnight at tent camp. Today we will see many mountains Mera peak, Number, Cho Oyu 8201m. Kesher Khang and much more beautiful village with rice filed. Overnight at tent camp. Today we will cross the Dudh Koshi river ( milk river) this river coming via Everest base camp we will have lunch also riverside after lunch we have to climb up till Mukli. Overnight at tent camp. Today we will make camp side at Buddhist temple it is one of the best places on the Lower Everest treks and evening we will visit inside of the Tibetan refugee camp and monastery. overnight at tent camp. Today we will visit the district headquarter of Solukhumbu today is our last day of trekking evening we ill celebrate last day party with all together Halesi Treks teams. overnight at tent camp. Early in the morning 35 minutes as mountains flight. Overnight at Hotel. you can do shopping or relax evening Farwell dinner at Nepali typical restaurant Overnight at Hotel.